Much of the contents of hospital bins go straight to landfill or incineration. Endless rounds of discarded single-use medical and personal care equipment – with their attendant contamination risks – make this a sad inevitability. 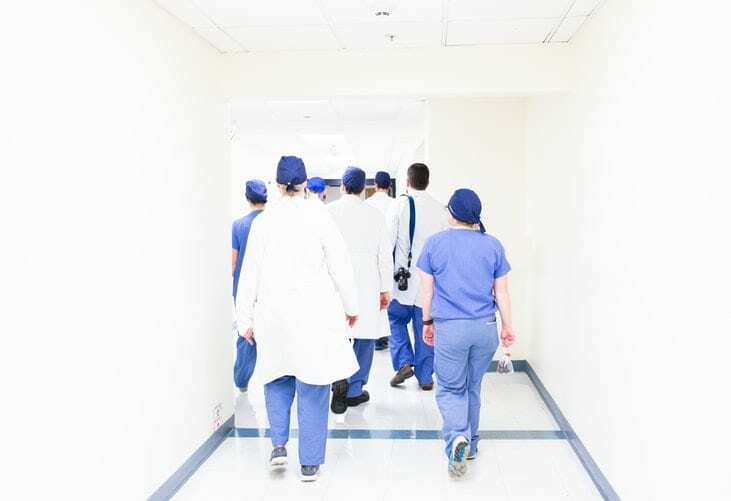 Huge volumes of waste are a headache for healthcare facilities managers, under pressure to balance the growing need to lower their institution’s carbon footprint – and operational costs in this area – with a plethora of obvious limitations in ways that this can be achieved. The good news is that there is one large, often-overlooked area where significant cost and environmental gains can be made – and that’s in linens. A Textile Services Sector report on its value to the UK economy calculates that the health sector processes 13m items every week, and that the NHS in England changes 130m beds per annum. According to its own records, the NHS spent £188.7m on laundry and linen services in 2017/18. Bedsheets, towels, workwear and everything else made from cotton and poly-cotton that is used and re-used in a hospital or healthcare setting, isn’t always recognised as a consumable with a limited life. It’s clear from our sector’s extensive laundry cupboards and mountainous wash piles that the amount of linen in our systems, going through countless numbers of machine cycles, is huge. What’s less obvious is that there is still a lot of woeful practice in looking after, and ensuring the longevity of, these textiles. Every day, in laundry houses all over the country – due to a lack of knowledge of other options, or a disbelief that the costs at stake are significant – staff can be too quick to bin items with a lot of potential life left. 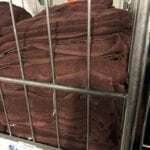 It’s shameful that many good textiles from the NHS or similar operators are discarded way too early, because they are greying, or blue-tinged, beyond levels that patients find acceptable – probably because of blue scrubs finding their way into predominantly-white washes. The UK’s habit of confining old textiles to landfill – 1.36m tonnes per annum, says waste charity WRAP – costs £82m every year. An estimated 14% of all textiles, according to the Textile Services Sector, are in use in healthcare, meaning we are a big part of the picture – and the problem. Unlike hotel customers, we know that people staying in hospital don’t worry too much if their sheets are not dazzling white. They are content if the linen, along with everything else they see around them, is clean. But stains or heavier discoloration do not present the right image for a forward-thinking health trust. Of course, they have to go. But where grey sheets go next is the big question. A decision to remove an item from circulation usually falls to a laundry provider, not a hospital. Historically, items that fail inspection have been discarded as waste. However, there is now another way. Technological advances have taken place and new methods of lifting stains, and tints, are making it possible for linens to last for longer. What harm is a bit of textile waste? The answer is that, collectively, we are talking about significantly more than a bit …. and there’s a lot of harm involved, to the environment. Developing more careful attitudes to the life span of every item of linen – whether a pillow case or a doctor’s coat – can pay big dividends, both in reducing outgoings and carbon footprint. It’s much more expensive to replace textiles than to engage a specialist cleaner to revive them. Laundry houses typically spend 10% of their turnover on topping up stock levels and much of that is needless. This straightforward cost win becomes even more powerful when considered alongside the green gains. The environmental impact of needlessly manufacturing new textiles is huge. A total of 70% of the carbon footprint of a poly/cotton bedsheet is accounted for in its manufacture. Just 30% relates to the subsequent washings, ironing and transportation during its life. Therefore, ordering fewer replacement items can make a significant difference to a purchaser’s environmental credentials. It’s clear that the time has come to be cleverer with the journey of poly/cottons and cottons – from manufacture, to life span, to disposal. The impact of ‘fast fashion’ has been all over the media in the last 12 months. Think about the increased pressure to demonstrate good practice in textile management, if the health sector’s habits come under this sort of spotlight. Forward-thinking players believe this greater public and professional scrutiny is simply a matter of time. So, is making healthcare linens last longer the next big carbon footprint breakthrough? Growing numbers of laundry specialists think so. While very dirty linens are generally a small minority of the commercial washing pile, the sheer scale of the industry means that the volumes of textiles being needlessly discarded are significant. Every day, laundry houses are faced with linens that cannot be effectively cleaned using ordinary processes. In the past, laundry managers may have added extra chemicals and turned up the temperature to ‘kill or cure’ the item. This approach might be effective in 30% of cases but a specialist cleaning partner has more than twice that chance of success. Regenex, for example, has developed a gentle, multi-bath approach based on opening up fibres in a fabric to lift stains. Methods were carefully developed and trialled over two years. Test fabrics were scrutinised by university and independent laboratories, to make sure the process caused no detriment to wear or strength. Now the method is proving to be effective in rescuing 75% to 80% of condemned linens thought to be indelibly marked by everything from an unacceptable shade of blue-grey, to fake tan, rust, mildew, food or anything else. Put simply, every set of medical scrubs, sheet or towel successfully cleaned and returned to stock represents an item that does not have to be re-ordered, and an item that does not have to go to landfill. That makes sense all round. Regenex is offering a FREE trial of 400 kilos of linen to any new customer. Get in contact for more information.